How to Edit MXF Videos in Foto Magico Instead of Adobe Premiere CS5? Home » Useful Guide » How to Edit MXF Videos in Foto Magico Instead of Adobe Premiere CS5? When talking about the video editing, you can not avoid mentioning Adobe Premiere. In fact, Adobe Premiere and Sony Vegas have been two of the most popular video editing tools on Windows operating system. While on Mac, it is no doubt that FCP and iMovie which are both developed by Apple have taken the most market of video editing tool. However, for common camcorder users, Adobe Premiere seems not the best choice to do editing works as they just want to add simple effects on the videos or just cut or split the videos. A professional editing tool not only makes it complicated to finish editing works but also takes much memory space to run the program. So which editing tool is developed to meet the requirements of common video lovers? Perhaps Foto Magic is a satisfying one with its easy to use interface. Let’s take Canon XF100 for example to get some simple steps for editing MXF videos in Foto Magic. The most important thing you have to know is that Foto Magic does not support MXF for input unless MXF files have been converted to another format. Having known this, you should take it into consideration that you need a great MXF converter to help you. Aunsoft TransMXF is just the one you are looking for. What you need is just what it can do for you. 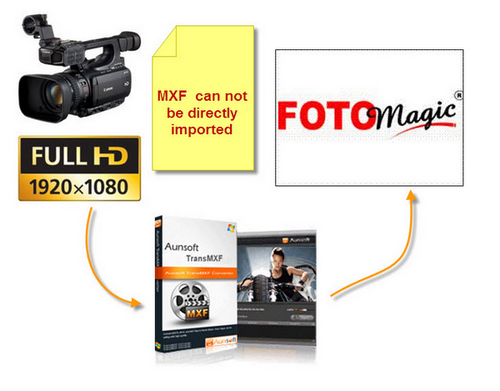 Here are the simple steps for converting Canon XF100 MXF files for Foto Magic. Certainly, downloading and installing the program is the preparation for further conversion. To start with, you need import MXF files to TransMXF. After you connected the camcorder to your computer, you can launch the program and continue the next step. 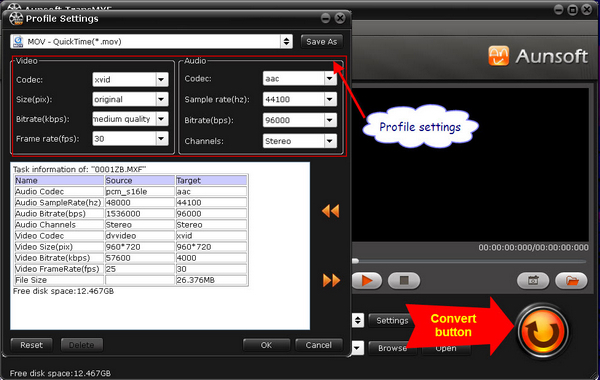 Just click the add button on the main interface and browse to select the files in CF card of Canon XF100. Of cause, files can also be transported to hard drive of your PC if the free disc space is enough to store those MXF files. After importing, what you need to do is choose the right output format and output path for your MXF files. As Foto Magic supports many video formats for input, I would take QuickTime MOV for example. 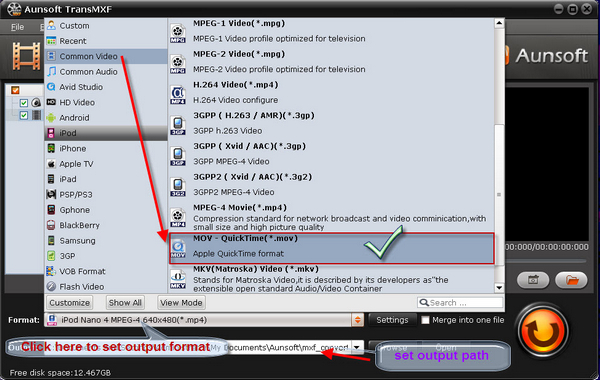 Click the output format setting bar and choose Commom Video >> MOV – QuickTime (*.mov). As to output path, TransMXF has a default path for output files, if you want to change, you can click the button under format setting button to choose the output path for your preference. If you want to set the detail parameter of output files, just click the settings button on the right side of the format setting button. There are many items can be set including video and audio codec, video size, frame rate, etc. After all the output settings have been set, the last step is just clicking the convert button and waiting for the conversion of MXF to QuickTime MOV finished. Then you can do some basic editing of file length and transfer these to Foto Magico to combine them with still images and add music and create transition effects etc. How do I use the DROID X DLNA Application?